1Corinthians 13:12 For now we see through a glass, darkly; but then face to face: now I know in part; but then shall I know even as also I am known. Remember, the Bible is a love letter from God and it is a book that teaches about the spiritual God. James uses the example of a mirror (“glass”) to let us know that the word of God is to let us see ourselves as God sees us. Paul uses the same analogy as the way that we perceive reality. Our world gives us a cloudy (“darkly”) understanding of what’s real. What we think we know about God is just a mirage, because we can’t really perceive Him in all of His greatness and glory. As humans, we like to think that our world is solid and perfectly stable. God wants us to know that the spiritual aspects of our lives are what are truly real. The things we think to be real will just “vanish away” (Hebrews 8:13) in the long run. John doesn’t say that it is a good idea; he says that it is a must! We must worship Him in Spirit and in Truth. We must see the world, more and more as we grow in Him, from a spiritual perspective. We must try to see ourselves from a spiritual point of view because we want to see Him, “as He is.” As we press forward in this life, we must prioritize our spiritual beings in order to see ourselves in the way He wants us to. 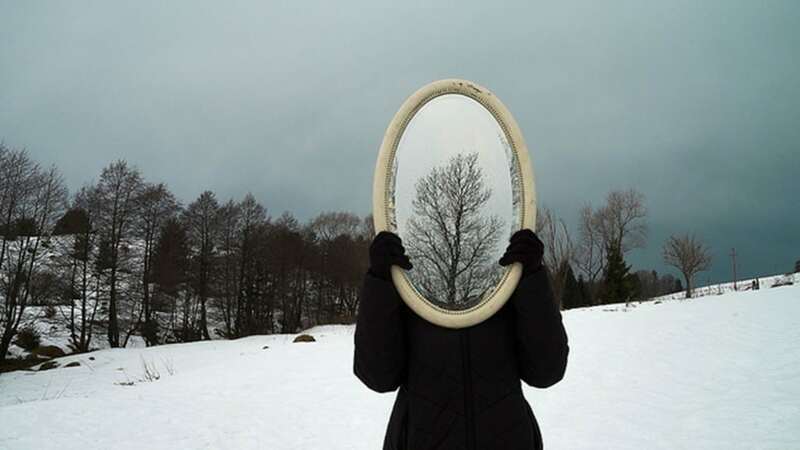 If we have spiritual shortcomings, the “mirror” is to help us draw closer to Him, so He may cleanse us.